Kieran has been in the Middle East for over a decade and has opened more than eighty restaurants across a range of casual dining, fast casual and quick service brands in each GCC country and with all the major mall developers. During his career, Kieran has been involved in over 200 new openings and created the Frankie & Bennys restaurant brand which now has over 250 restaurants in the UK. He has made a significant contribution to the restaurant market during his time in the Middle East, as Vice President of the restaurant division of Alshaya where he was instrumental in bringing Shake Shack, PF Changs, Texas Roadhouse, Pinkberry, Potbelly and Cheesecake Factory to the region. During his time as COO Restaurants at Landmark, he expanded successfully the Carluccios, Max Chicken and Zafran restaurant brands and acquiring the Nandos and Jamba Juice franchises. Latterly at Al Futtaim, he introduced Barilla Restaurants and Super Chix to the UAE market. 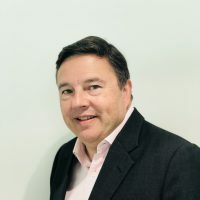 Originally from the UK, Kieran held a variety of operational roles such as Regional Director Whitbread, Managing Director of Le Petit Blanc and Executive Director for Metropolitan Restaurants as well as marketing roles including Marketing Director for Sodexho UK and Ireland and Marketing Controller for The Restaurant Group.